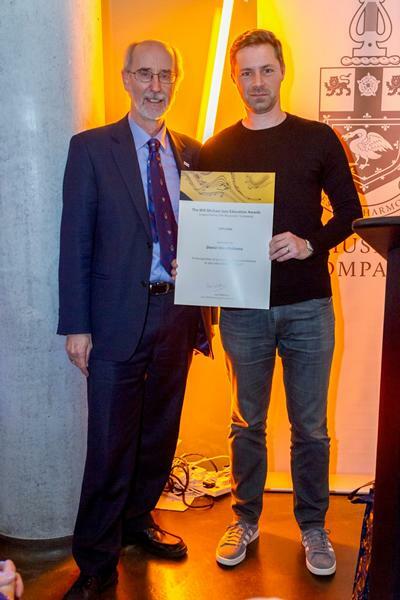 Dan Mar-Molinero, Head of Jazz and Pop at the University of Southampton, was recognised nationally for his work in jazz education at the annual Will Michael Jazz Education Awards hosted by Trinity Laban Conservatoire in Greenwich. This national event, supported by The Musicians Company and Jazz UK, pays tribute to those working in jazz education in the UK. This is the first time an award has been presented to an individual by the awarding body, which has previously only recognised regional and metropolitan collective music projects. The ‘Diploma for Jazz Education' recognises Dan’s longstanding commitment to jazz education in the South. Along with acting as Head of Jazz and Pop at the University of Southampton, Dan's work has included 21 years of directing and running the nationally recognised Southampton Youth Jazz Orchestra; helping establish a regular satellite for the National Youth Jazz Collective in Hampshire; leading various workshops both for students and for teachers across the South; and tutoring numerous young musicians, many of whom have now become leading professionals within the jazz world.